It’s the most magical time of the year, and there is no better way to celebrate it than a night with Charlotte Ballet and its beautiful production of Nutcracker. This is on our Smarty MUST-do list for the holiday season. Gather the family, get all fancied up, make dinner reservations at some place special, and top off the night with a magical performance that will be sure to get you into the holiday spirit! The performance features over 100 dancers led by the professional dancers of Charlotte Ballet, live music from the Charlotte Symphony and a breathtaking snowfall at each performance. Be there as the Nutcracker Prince triumphs over the evil Mouse King and as the Sugar Plum Fairy entertains Clara, her Nutcracker Prince and the audience with dazzling dancing sweets. 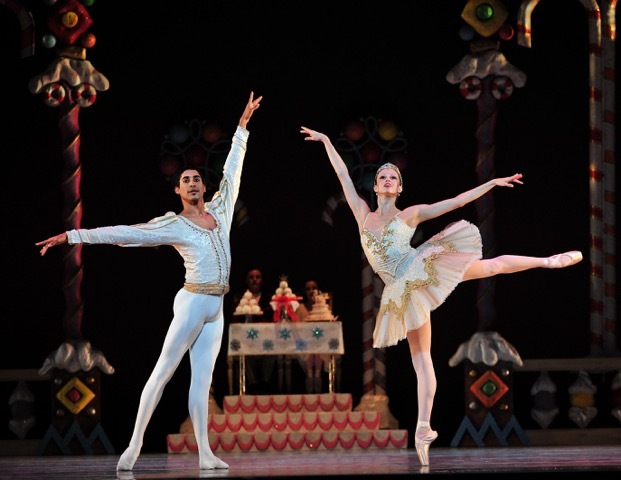 Your holidays are not complete without seeing Nutcracker! 2. Share this post on your Facebook newsfeed. Winner will be announced on Monday, December 7. If you’re not the lucky winner, here are deets for purchasing tickets! Ticket pricing information: Tickets to Charlotte Ballet’s Nutcracker, December 10-23 at Belk Theater, start at just $25 and are perfect for children of all ages! 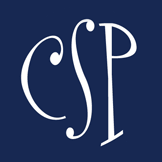 Visit charlotteballet.org or call 704.372.1000 to purchase tickets today! Charlotte Smarty Pants hits Charlotte Ballet’s Nutcracker! My favorite Nutcracker character is the Sugarplum Fairy! My favorite nutcracker character is the sugar plum fairy. My favorite character is the snow queen! My favorite character is the Nutcracker Prince! The prince is a wonderful character. My favorite Nutcracker character is the Snow Queen. 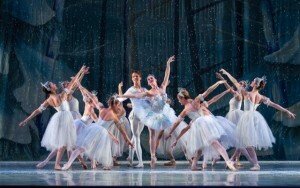 The snow queen is my favorite character and dance of the snowflakes my favorite dance! My favorite Nutcracker character is Mother Ginger! My favorite Nutcracker character is the snow queen! girl at some point during her life wants to be Clara. do all of those awesome ballet moves. My favorite Nutcracker character is the dancing snow flakes. My favorite character is Mother Ginger! My favorite character is the Sugar Plum Fairy! I used to go every Christmas in New York as a girl! My favorite Nutcracker character is the Sugar Plum Fairy. I would LOVE to take my daughter and my niece who has never seen the Nutcracker! My favorite character in The Nutcracker is Clara. My favorite Nutcracker character is Clara!